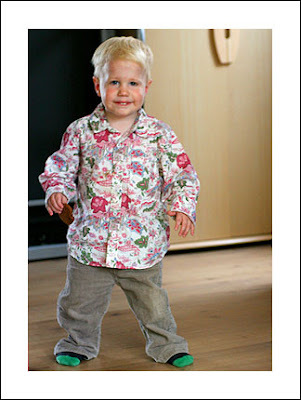 When I saw this shirt at the Next outlet store I had to buy it for Noah - it is so Noah! 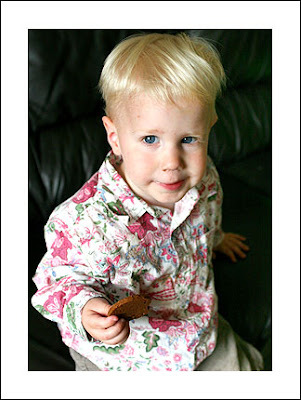 Had to bribe him with a biscuit (cookie) - even then he wouldn't sit still. 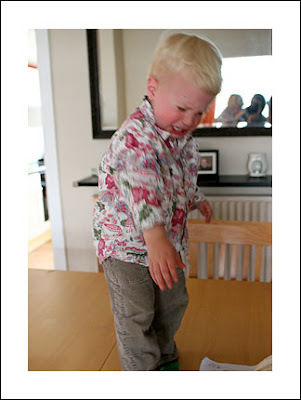 The more usual state of affairs - climbing on the table and having a tantrum.